While I wouldn’t say Fall 2017 was devoid of excitement….it was hardly my most anticipated season of the year either. Fall has often had some really strong shows, but sometimes it does fall a bit flat. This season was just “ok” in general. The top end as for any season has been pretty darn good. For me Children of the Whales has delivered a really strong and good looking show. I’m enjoying watching it every week and talking about it. Just Because, has been what I had hoped it would be. A show that covers a pretty melancholy part of one’s life and also having some decent emotional connections between the characters. The season has also had some pleasant surprises. I didn’t expect to enjoy Blend S as much as I have. That’s just a fun show. Houseki no Kuni was also surprisingly better than I had thought it would be going into it. It’s had some strong emotional moments and has been memorable. 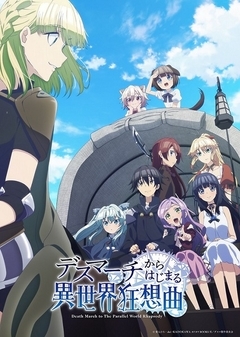 The unique style of Shoujo Shuumatsu Ryokou has also kept it in my mind. While not a show I love, it is a show I enjoy watching. Even still, I feel like the Fall season just hasn’t had a lot of great shows. I compare it to this coming winter season and it just looks weak by the comparison. Though to be fair I think this Winter season is one of the stronger seasons for me in a long time. This is one time where I’m not trying to find shows to be excited about. There are just a ton of hype worthy shows coming out. The past few years it feels like Winter has really stepped up with some big shows and that is the case here. As usual I’ll be referencing from Livechart and Anichart. 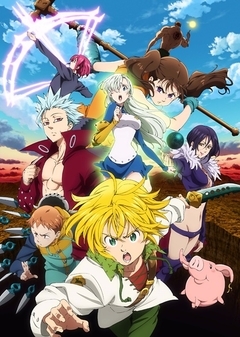 Season 2 - The "Seven Deadly Sins," a group of evil knights who conspired to overthrow the kingdom of Britannia, were said to have been eradicated by the Holy Knights, although some claim that they still live. Ten years later, the Holy Knights have staged a Coup d'état and captured the king, becoming the new, tyrannical rulers of the kingdom. Elizabeth, the king's third daughter, sets out on a journey to find the "Seven Deadly Sins," and to enlist their help in taking back the kingdom. I’ve basically been looking forward to a new season of this show since the first one ended in 2015. While there was that 4 episode grouping last year, that wasn’t really a new season. That was more being used to smooth things out so that a real second season could eventually air. And now we’re finally to the point where that can happen. This is a series that I just really enjoy. 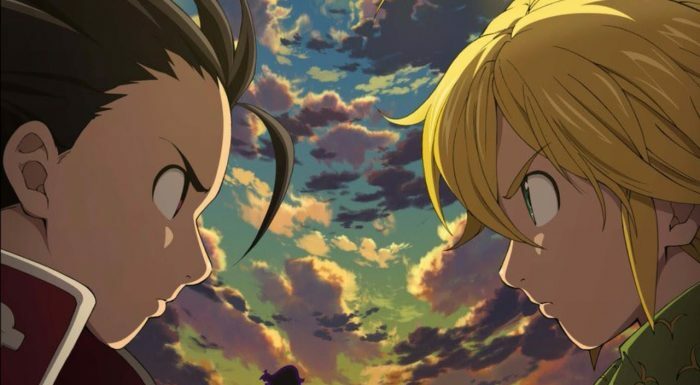 Nanatsu no Taizai has enjoyable characters and some serious action to go along with them. These are some pretty powerful individuals with some crazy abilities. And it is interesting having such a mixed main cast. Very few actual humans in that main group; instead you have demons, giants, faeries, etc. I know where this season is going to go and I’m pretty hyped to see it get there. I know some had issues with the adaptation of the first season, but I enjoyed it. With so many good shows there is no telling if I’ll be able to pick this up for blogging, but I’m 100% going to be watching it. 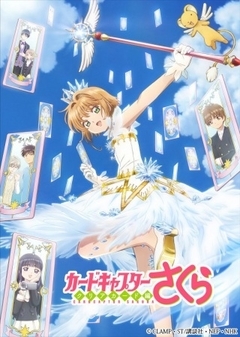 I think for a fair number of anime fans, Cardcaptor Sakura is a classic. A massive series that came out in the late 90s and was probably an entry series for a fair number of people. I know the dub had all sorts of complaints, but it was a series I remember watching on tv. And now here we are waiting for a new season for it. I’m honestly pretty excited for it. The original series will always be a classic, but I don’t mind seeing what comes ‘next’ for Sakura and the main cast of that show. This was very much the staple magical girl show. It had a likable main character who rose above her challenges. There were also likable side characters and even a pretty badass male companion/rival/etc character in Shaoran. This is very much Sakura’s show though and as far as main characters go she’s pretty good. A very capable 10 year old (in the original series) who accomplished a lot. She’ll be a bit older in this one and it should be fun to see what she’s up against this time around. Waking up in a strange virtual world with no recollection of the past, Hakuno finds himself forced to fight for survival in a war he does not understand for a prize beyond value; the opportunity to have one's wish granted. With only an enigmatic "Servant" by his side...will have to face both friends and foes in battles to the death in order to not only gain possession of a mysterious object known as the "Holy Grail," but also to find the answer to the most important question of all: "Who am I?" I’ve been looking forward to it since this thing was announced since the middle of 2016! It has been one heck of a wait for this to actually air. It is a Fate series based on a PSP game that came out back in 2010. I didn’t actually play it until a few years ago when I finally got around to buying a digital copy. It was a good game, although I would say the story was more interesting than the gameplay. That game eventually lead to a sequel (which we never got localize) and other games within that ‘universe’ of the Fate franchise. It looks to have some ties to that original game, but hard to say what SHAFT might end up doing. I do think that this is the perfect studio to handle Fate/Extra though. It has a weird atmosphere that I think they can capture pretty well and they can handle their action scenes well. This is another Fate series that is focused on telling its own story. There will be a lot of servants that people haven’t seen in other Fate series and honestly I think it has one of the best servants in the whole franchise. I’m definitely going to be watching and hopefully it turns out to be great. I’m far more excited about this than I was at the announcement of say Fate/Apocrypha, though I certainly ended up interested enough to cover it. On a continent ruled by chaos, the Lords have the power of a holy seal that can calm the chaos and protect the people. However, before anyone realizes it, the rulers cast aside their creed of purifying the chaos, and instead start to fight each other for each other's holy seals to gain dominion.. Shiruuka, an isolated mage who scorns the Lords for abandoning their creed, and a wandering knight named Theo, who is on a journey to train to one day liberate his hometown, make an everlasting oath. Now this is a series I don’t know that much about going in. What I do know is that the creator of the novels behind it also created the Record of Lodoss War anime that I watched a long time ago. That’s another older series going back to the late 90s. If this at least has a similar setting then we’re looking at a potentially really solid fantasy series. Stepping away from the more virtual reality settings or a regular modern guy dropped into a fantasy setting. Instead we can get a swords/magic/monsters series with characters actually from that setting. The summary seems pretty straight forward. There are people with the power to maintain peace and protect the people, but they are using it to make war instead. We should be getting a young knight who wants to make the world a better place and assembles allies to make that happen. The trailer looked solid and I’m up for watching this kind of show. 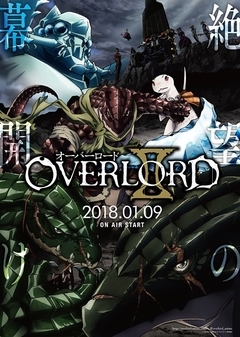 Second season of Overlord - The final hour of the popular virtual reality game Yggdrasil has come. However, Momonga, a powerful wizard and master of the dark guild Ainz Ooal Gown, decides to spend his last few moments in the game as the servers begin to shut down. To his surprise, despite the clock having struck midnight, Momonga is still fully conscious as his character and, moreover, the non-player characters appear to have developed personalities of their own! I really didn’t expect Overlord to be as good as it was or do as well as it did back in 2015. That show wasn’t even on my radar back then. But it really delivered an impactful first season that deserved getting this sequel. 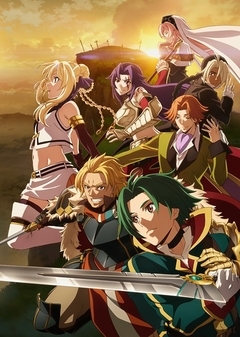 Somewhat funny that I’m talking about this one after Grancrest because it is one of those series where a person from our world gets dropped into a fantasy setting. But Overlord did some interesting things with that. You have a main character trapped in the body of his game character….an undead skeletal monster. Being in that body having a real impact on his emotions and personality, making him not wholly himself. It was interesting seeing that MC tackle his situation and taking bold actions. He can and does some scary stuff that a normal person with full control of their emotions probably wouldn’t do. I’m excited to see where the second season goes. We’ve got an incredibly powerful MC and side cast that could basically do whatever they want. It should be interesting to see how the MC continues to explore that fantasy setting and establish his name in it. Will there be others like him (people from our world) in there? At the very least this should be a really good show. Long ago the “Auto Memories Doll” was born. Professor Orland, an influential figure in the printing industry, invented a new type of printing machine for his wife Molly, so that she could write novels after she had lost her eyesight. 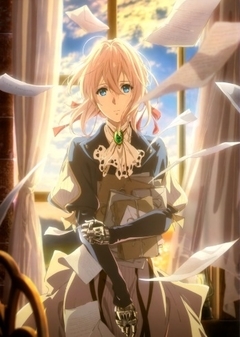 The machine was given the appearance of a petite lovely doll...This story is about a young girl, Violet Evergarden, and how she connects people’s hearts as an Auto Memories Doll living at the turning point of a generation. This is a show with some hype behind it. Of course Kyoto Animation does some pretty fantastic work. Hibike! Euphonium was a fantastic series across two seasons. Sure, they have their misses too but everyone does. At the very least we know this is going to be a really good looking show. And from the summary it sounds like this could be a very emotional journey to watch unfold. 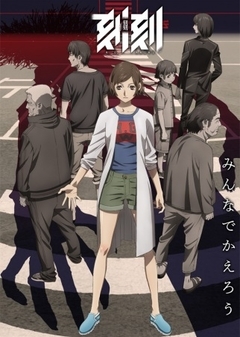 A main character going around meeting various people and facing various thoughts, feelings and forms of love. A ‘weapon’ from the battlefield stepping away from that form of life and instead taking on the job of recording people’s thoughts and emotions. That could definitely work. I have no knowledge of the source material so going into this pretty blind. But I think a good looking series that is tackling what looks to be an emotional story could be a strong show. There should definitely be some intense drama along the way. Whether I cover it or not….hard to say. But another show I’m excited to see. Now we get into the middle tier of hype. I’m not as excited about these as the shows above. But I’m still pretty interested in watching them. Some have intriguing premises that I’m curious to see play out. While some have source materials that I’m sort of familiar with, but not extremely interested in. Some of these could easily turn into my favorites, but no way to tell right now. This show has an interesting setup to it. Another kind of supernatural situation, but with some drama built in. The ability to freeze time is pretty powerful, but when other people can move in that frozen time with you….things could get intense. Plus I respect the MC Juri just from the summary. Someone who basically just decides to grab a knife and go save her family is pretty awesome. She was going to go all Taken on those kidnappers before her grandfather offers a more supernatural option XD. Whether this will be good or not, I have no idea. But the setup seems to have a lot of potential. It depends of course on where they go with this and what other potential abilities might slip in along with the power to freeze time. In the end this is unlikely to end with a simple kidnapping issue. This is another show with a premise that has me intrigued. 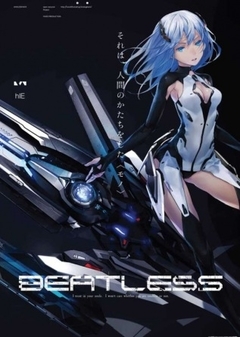 A somewhat futuristic setting with androids that have become part of regular life. Then you throw in what sounds like ‘machines going berserk’ and a kind of ‘boy meets robot girl who saves him’ and that sounds like an interesting recipe. Whether it is a good one I’m not sure, but I’m curious to see it. 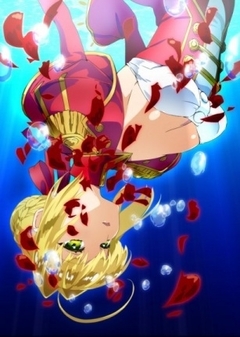 It somewhat depends on the main character in all this along with the hiE Lacia. If they are a likable duo then this show could be worth watching. This could be a fun action series. Sure the season has plenty of action, but I’m not going to complain about a bit more of it. I remember reading a few chapters of the manga this is based on and thought it was cute fun. I didn’t get extremely invested in reading the whole thing, but it was good. Considering so many of the other shows I’m excited about are action packed or serious….this seems like a good bit of fun. Watching Nishikata’s showdowns with Takagi and the underlying romantic tension should be good. It looks to be nice and comical fun. When the two girls meet, magic begins. 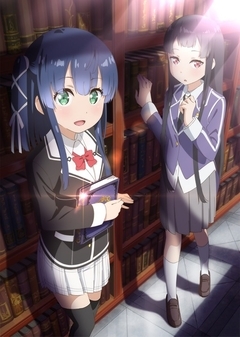 Hazuki Kagimura loves stories, an orthodox girl who is overly imaginative...One day after school, Hazuki gets lost among the bookcases of the library, leading her to a mysterious school where meets Shizuka Tsuchimikado. It is a magic school where girls (called "mädchen") are selected by the magical texts from which the world's stories are born. Hazuki herself is said to be chosen by the book of Cinderella. We certainly will never run out of shows that focus on magical schools XD. I kind of like the premise that these girls are chosen by these magical books that are connected to various stories. It adds a bit of a different spin than just being a generic grimoire. This just has a good feel to it from the summary to the trailers that have come out. 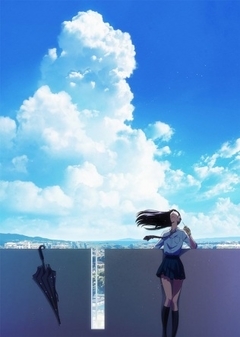 A girl who meets another girl from a different ‘world’ and has her horizons expand as a result. It could be nice and fun to watch. The visuals look good to me and I’m curious to see just what kind of show this will end up being. Ryuuichi is in high school and Kotarou is still a toddler. After their parents are killed in a plane crash, the two brothers find themselves living with the chairwoman of the Morinomiya Academy, who herself lost her son and daughter-in-law in the same accident. The chairwoman, however, has one stipulation for the brothers in order to live with her: Ryuuichi has to work at the academy's daycare center as a babysitter. It sounds weird to say about a show that has the MC’s parents dying in it….but this sounds like a pleasant series. It could be a cute kind of show with the MC and company taking care of these kids. The idea that he has to work at the daycare as a babysitter seems a reasonable stipulation for Ryuuichi and his brother being given a place to live after that tragedy. 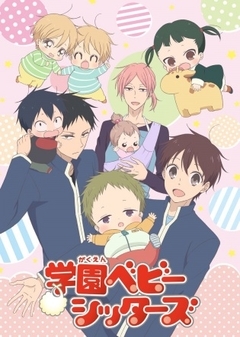 It could be an enjoyable show with some good laughs and amusing toddler characters. I’m not sure if this will be interesting enough to keep watching, but I’ll check out the first few episodes. 29-year-old programmer Suzuki Ichirou finds himself transported into a fantasy RPG. Within the game, he's a 15-year-old named Satou..Due to a powerful ability he possesses with limited use, he ends up wiping out an army of lizard men and becomes a high leveled adventurer. Satou decides to hide his level, and plans to live peacefully and meet new people. However, developments in the game's story..may cause a nuisance to Satou's plans. I remember reading a few chapters of the manga, but didn’t get that invested. It’s another fantasy setup with a regular guy dropped into a fantasy setting with some powers attached. Though I don’t think the MC will be nearly as interesting as Overlord’s MC. It is a somewhat different twist having a nearly 30 year old MC thrown into this world in the body of a teenager. That’d make any harem aspects a bit unusual…In the end it sounds like the MC will be a pretty OP character. So the question is whether they can make him and what he is doing interesting. Being extremely powerful isn’t a bad thing in a story like this. But you need to be more like Overlord and do something good with it. Rather than being like Isekai wa Smartphone….and being incredibly boring. Fingers crossed this will be ok. This certainly has a premise that sticks in the mind. I’m curious where the heck they might go with it. It feels like they’ll tackle this in a fairly mature way. The PV looked pretty darn good and made it feel like this show will have good atmosphere to it. Wit certainly does some good work so if nothing else this should be a pleasant show to look at XD. The trailer and the summary has my attention. So at the very least I’m going to be checking it out. Could be an age-gap kind of romance story or just a one-sided affection that spurs character development in the lead (Akira). 20-year-old Michiru Amatsuki moved to Tokyo due to a change of career. She decided to live in a woman-only share house "Stella House Haruno" with people of different ages and occupations. It's always fun when there's delicious alcohol and meal!! This could just be a silly kind of slice of life series. 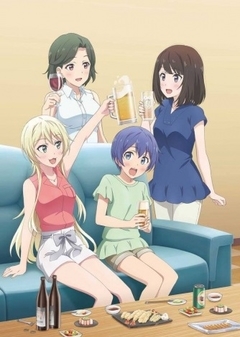 I’m not sure if it will go beyond “hey here’s a show about young adults drinking.” There is some comedy you can do with drunk characters to be sure. But we’ll have to see what depth there is to this. Hopefully at least it turns into a feel good series where you can just watch the interactions between the main cast and smile. Sometimes that is all you need for a good show. Honestly, I’m pretty hyped for Winter. Going through the shows that will be out there has only made that feeling stronger. It isn’t often where the majority of shows that I’m talking about are in the very excited category. We’ve got a good mix from action series, to fantasy, to science fiction, to magical girls. I’m really hopeful that most of the shows that I’m excited about deliver. This season of anime could be an amazing way to kick off the year. The only real downside is that there are so many shows that I can’t possibly cover all the ones I like. But that just means I get to watch some really good shows in a very casual way. Winter has the ability to set the bar pretty high for the rest of the seasons in 2018. I’m ready to start watching these shows already. But sadly a bit more waiting is required.